The cloud computing industry is on the rise and it’s not slowing down anytime soon. The industry is expected to boom by 2019 and will only grow from there. There are currently over 50,248 cloud computing positions available in the U.S. job market alone. Over in India, over one million cloud computing jobs will be created by 2022. Amazon and Oracle are just two companies that have the most cloud computing positions available. Over 3,800 jobs are listed every day, according to Dice. That demand for cloud computing specialists is expected to grow by 2019 and chances are high that it will become most demanding one. Since there is so much demand and not enough cloud computing professionals, many people are getting a cloud computing certification to capitalize on their skills while demand is at its peak. The average median salary for cloud computing professionals in 2018 is $146,350. It’s well worth going back to school to get in on the demand. Here are just some of the hottest jobs in the cloud computing industry. Software developers and engineers design and develop cutting-edge technologies that can be used within cloud-based systems. They also forecast the cloud computing trends and help businesses with their cloud-computing needs. Requirements for this position include a background in information technology, engineering, and computer science. Knowledge of extract, transform, load (ETL) techniques and tools, SOA technologies, Unix/Linux OS, and compiled-coded language is also imperative for this career. Network system administrators provide technical support, maintenance, implementation, and optimization of networks within the cloud infrastructure. Meanwhile, computer system administrators provide support and maintain the virtual aspect of the cloud environment. Regular responsibilities include developing, innovating, and maintaining networks and internal systems. Both network and computer system administrators have to provide the best cloud-based solutions and maintain regular maintenance on an organization’s cloud services. An educational background in computer science is desirable for this position. Job candidates must have knowledge of working with DHCP, DNS, NAT, and routing. Other important requirements include a demonstrated knowledge in Layer 2 network protocols, Layer 3 IP routing, and experience with Perl, Python, or Shell. Employees must also be Cisco Certified. Cloud architects deploy and implement cloud-based services. They ensure that cloud technologies are working to its potential. They also work alongside IT agencies and businesses to meet the needs of their customers. Requirements for this position include an educational background in engineering or computer science with a focus on Python, Shell, or VBScript. Job candidates must also be knowledgeable of Linux and Windows operating systems including administering, installing, and designing virtual environments as well as experience with cloud-based products. Cloud systems engineers are one of the top positions in the cloud computing industry. They develop and design virtual environments and interfaces based on cloud-based technologies. They must have an educational background in computer science, information technology, or a computer engineering degree. Other requirements include clustering, configuration management, Drupal, internet security, monitoring, and scripting. Knowledge in software development tools such as Bootstrap, C++, Java, Node.js, and PHP are also important for this position. Information security analysts monitor the cloud computer’s infrastructure. They also give clients advice on how to maintain their systems and network security. They address security needs when data needs to be transferred onto cloud computing platforms. The requirements for this position include a degree in computer science or information technology. Knowledge of the latest security authentications, certifications, and protocols are also important for this career. Job candidates must be able to deploy web-based services on AWS, Microsoft Azure, Rackspace, and other cloud computing platforms. To create, build and broaden the relationships with clients; sales managers perform various tasks like – handling the contracts, making negotiations, renewals, and playing with various subscription plans. So the cloud sales managers follows the same duties using company’s cloud service and marketing database. For this job one must have an educational background in business administration. He should also have better skills in handling clients and know how to build strategic partnership with small-mid and large businesses. IT project managers handle an organization’s IT infrastructure, corporate engineering, and cloud-based technologies. They also use cloud-based technologies to maintain the various IT infrastructures within the organization. Requirements for this position include a degree in computer sciences or information technology. Job candidates must also be knowledgeable with using web-based services on AWS, IBM, Microsoft Azure, and other cloud computing platforms. Cloud systems are gaining popularity in several businesses. From web-based inventory management to user access management, there’s something that fits everyone’s needs. Just because these businesses are jumping on the bandwagon doesn’t mean they know how to use these cloud technologies. They need someone who can guide them through the process and help them resolve any issues. Cloud user support specialists typically work directly with customers – from individuals to businesses. They make sure that their cloud-based services are working to its full potential. They also help customers resolve some of the common challenges associated with cloud-based services. Job candidates must have excellent communication skills so they can instruct users how to resolve their issues. The requirements for this position include an educational background in computer sciences or customer relations management. Prior work experience in software development or technical support with a focus on cloud-based services is also a plus. Knowledge of deploying web-based services on cloud-based platforms and knowing how cloud user interfaces work is also imperative for this position. The cloud marketing manager conducts the planning and marketing for cloud-based solutions. Some of the responsibilities involve creating the product concept, defining their market strategy, writing product specifications, and developing a marketing strategy. Requirements for this position include an educational background in computer science or business science. Experience working for a software development company that utilizes cloud-based technologies is also important. Cloud sales representatives are sales representatives that focus on cloud technologies. They help create, manage, and widen relationships with their clients. Their goals are to search for customers who need cloud computing services and establish long-term relationships with already existing clients. The requirements for this position include a background in sales and marketing, business, and strategic partnerships with both midsize business and large corporations. Job candidates must also have excellent communication skills and the ability to sell cloud technologies, security software, and IT infrastructure devices. These sales supervisors typically work in non-retail environments. It’s their responsibility to manage sales representatives and perform marketing tasks. Sometimes they assist sales teams in the selling cloud-based solutions and managing customer information. An educational background in business administration, sales and marketing, leadership, and HR management are important for this role. Job seekers should also have strong communication skills along with experience in Human Resource Management and selling of cloud-based software and IT infrastructure data. Cloud consultants provide consultation services on the latest technology options to businesses that lack cloud computing software. The cloud consultant can help businesses with all types of cloud platforms, such as the private cloud, public cloud, and the hybrid cloud. The requirements for this position include an educational background in business administration, information technology, or IT consulting. Excellent communication skills and knowledge of cloud systems is also imperative for this position. These are just some of the careers in the cloud computing industry that are in high demand. Cloud computing is expected to add more jobs as the industry continues to grow and expand in 2019. 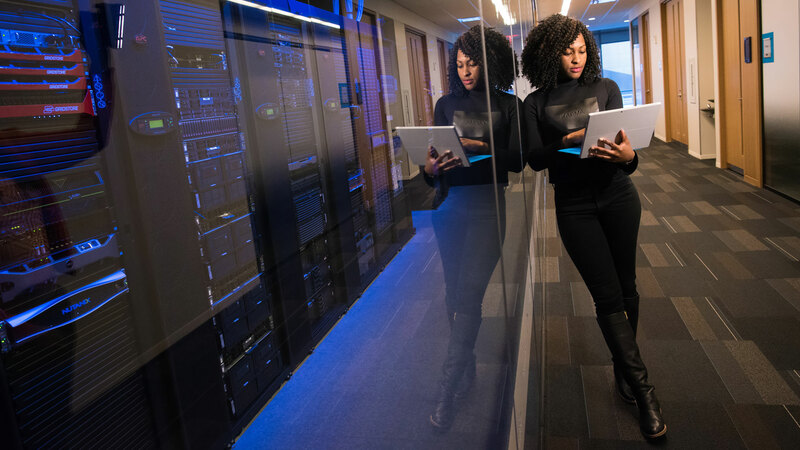 As businesses continue to invest in the cloud and security infrastructure, the number of cloud computing jobs to keep up with these platforms is expected to grow. This ever-popular form of technology will add more opportunities to help you find your perfect cloud computing career.